In August I’ll be giving a couple of presentations at devLink. One of them will be on the new SQL Server Data Tools that was released with SQL Server 2012. As you may be aware, I’ve been a proponent of Visual Studio Database Projects since their initial release with Visual Studio 2005. 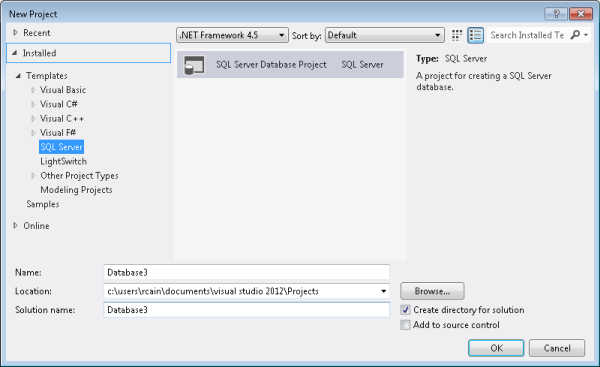 With SQL Server 2012 the SQL team took ownership of the database projects. They completely retooled them so now they can release them as “out of band” add-ons for Visual Studio. The new version is called SQL Server Data Tools, or SSDT for short. It’s included with VS2012, or you can download a version compatible with Visual Studio 2010 at http://msdn.microsoft.com/en-us/data/tools.aspx. I’ve been using it for a real world production project for some time now. 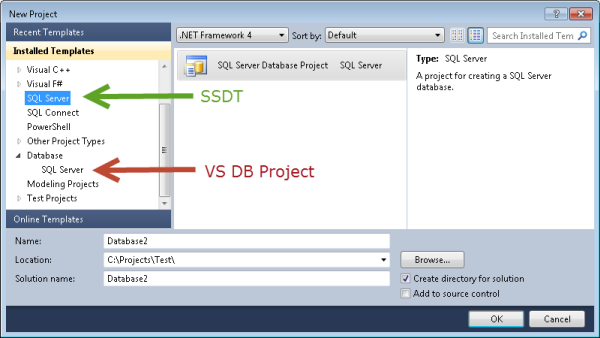 While I like it, there are some major differences between the new SSDT and the former database projects. Over the next few blog posts I want to highlight some of those differences, culminating with the devLink presentation. For this series of posts I’ll be using the Visual Studio 2012 Release Candidate, which from here on I’ll simply refer to as VS2012. As this is a Release Candidate there shouldn’t be any noticeable changes between now and the final release. If you are still on VS 2010 don’t fret, what I’ll describe applies to it as well, assuming you have gone to the link above and downloaded the SSDT add in. Here is the screen shot from VS2012. 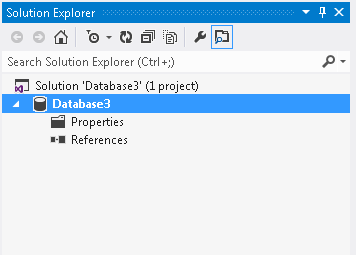 As you can see, the Database branch is gone and only the SQL Server Database Project exists. Now for the next difference. With VSDB Projects, when you created a new project you were immediately walked through a wizard that helped you with various default choices, and allowed you to import a database. With SSDT, once you create a new project you are given a blank slate, an empty project to start from. If you are creating a new database from scratch, it is left to you to create the entire folder structure, and to name your files correctly. I’d highly suggest though that you import at least one database, to see how the wizard organizes things, so that you can follow suit. Importing a database is as easy as it was in VSDB Projects, but we’ll save that for the subject of the next blog post.